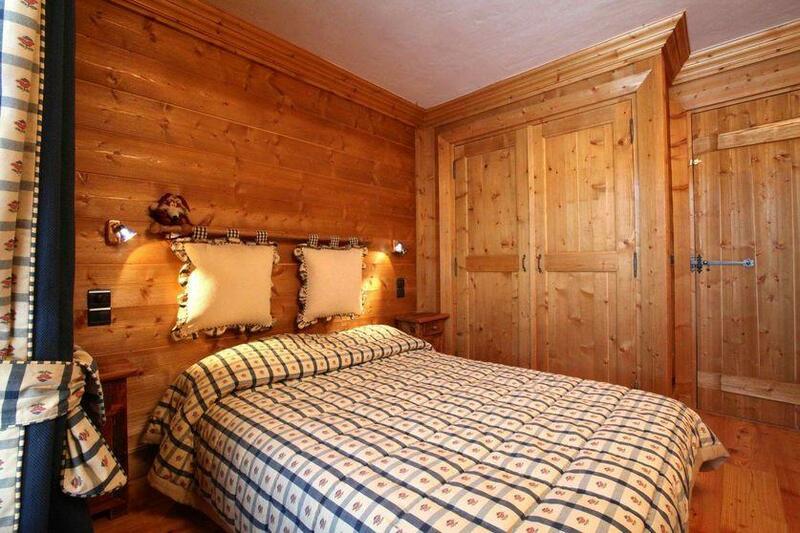 The chalet Madeleine located in the Jardin Alpin area in Courchevel 1850 is an authentic family-run mountain chalet built in true Savoyard spirit. 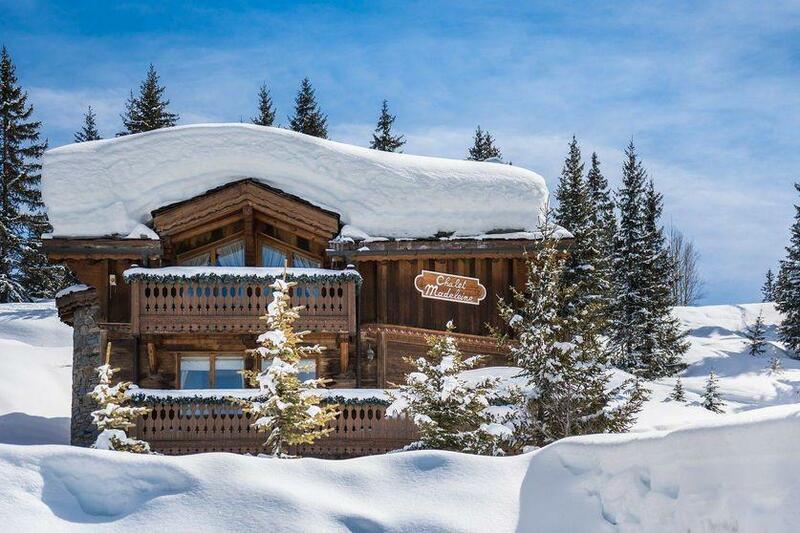 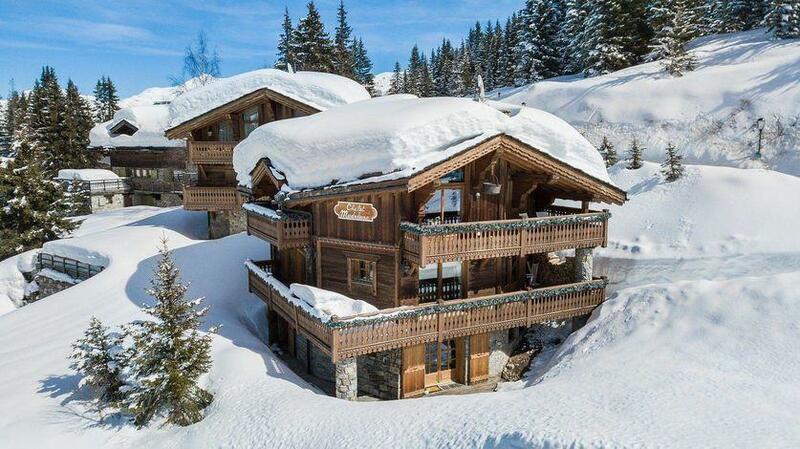 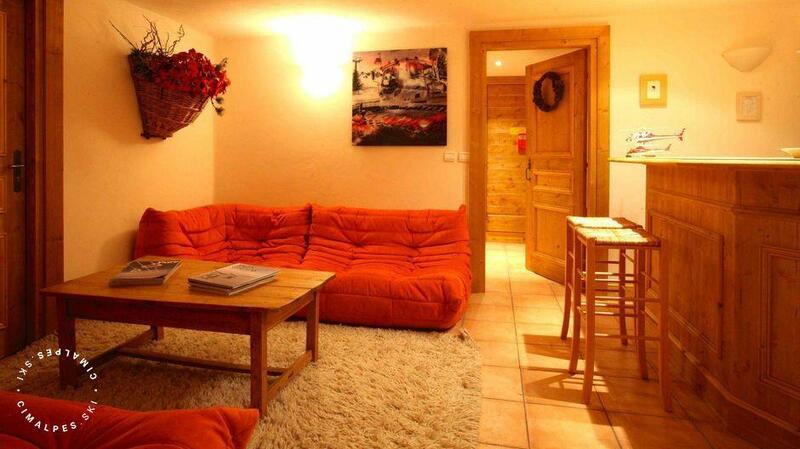 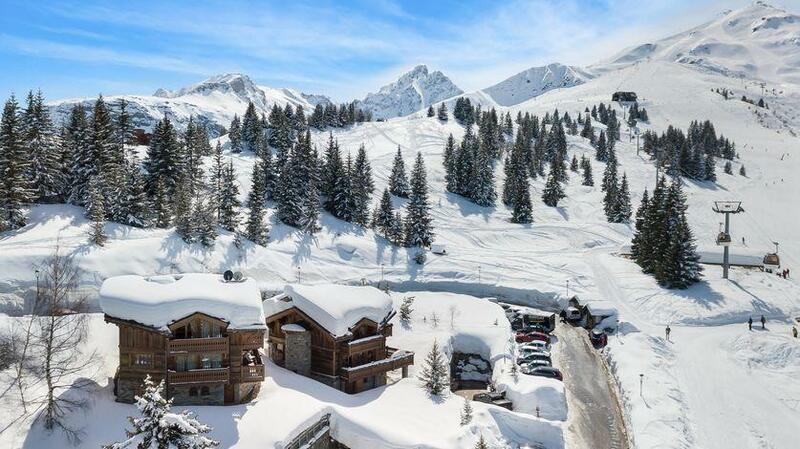 This chalet has a privileged location close to the slopes and ski lifts, in front of the mythical top of the Saulire. The decoration of this beautiful traditional Savoyard chalet is thought through to the smallest of details. 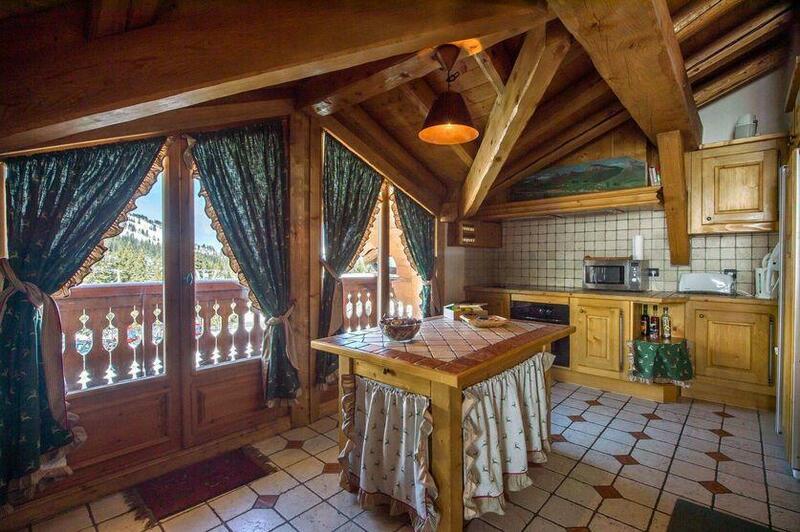 If you take the time to observe, note that the interior designer has placed decorative elements around the chalet in the theme of a little deer. 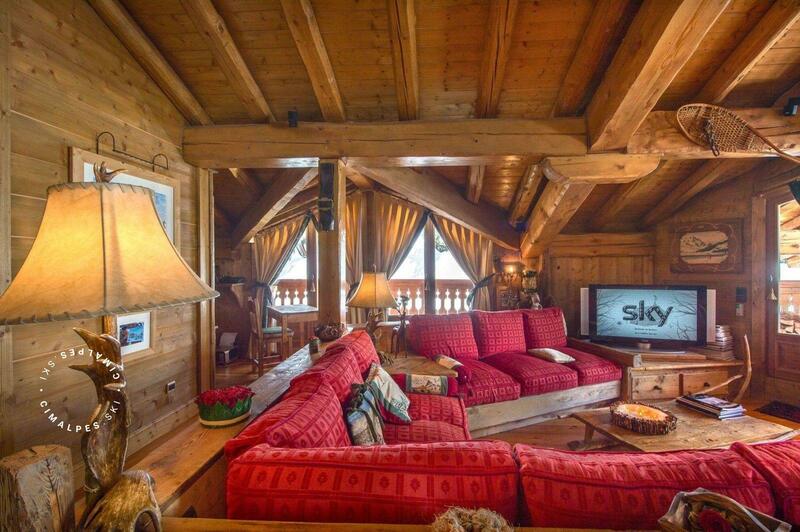 In the spacious lounge you will find candlesticks in the shape of deer, stag antlers were used to produce the feet of the lamps and all the curtain liners or even the chair cushions have print of wild deer. 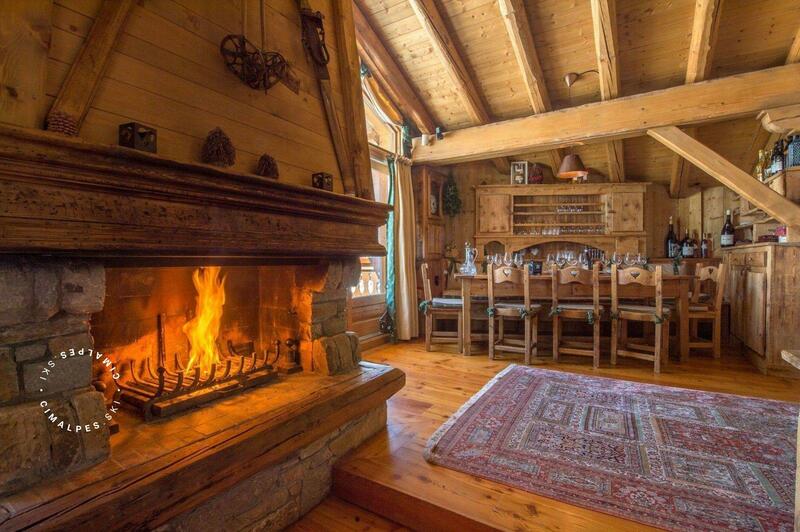 Many elements are a reminder that you are in a traditional mountain chalet: old wood covers the floors and walls of the chalet while impressive wooden beams are supporting the frame of the Madeleine chalet. 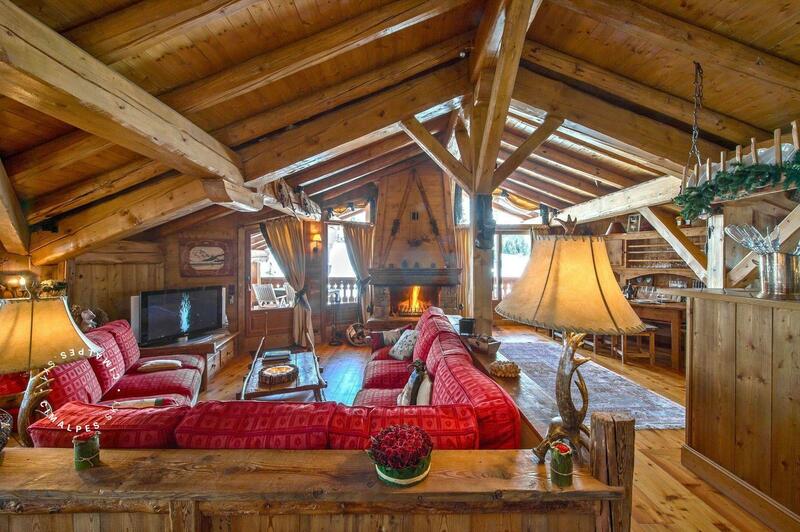 Sofas custom made from ​​wood and red fabrics give a rustic and warm side to the room where you will want to spend hours watching the fire burn in the imposing stone fireplace and wooden lounge. 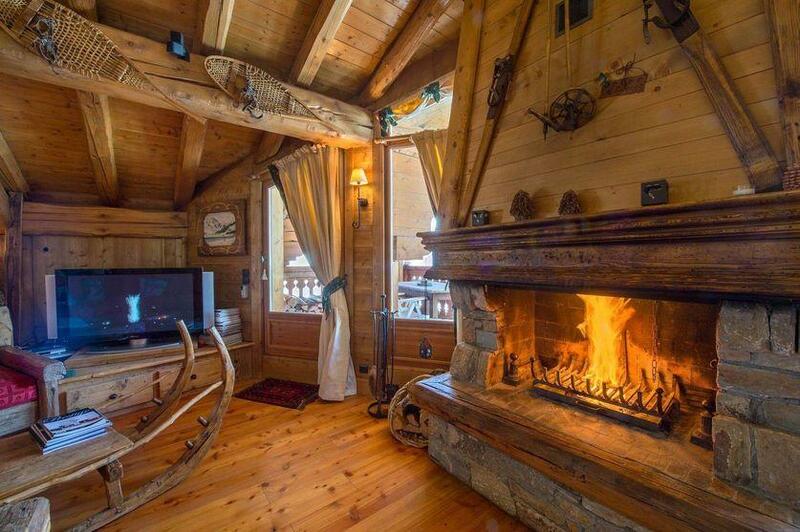 The living room coffee table is simply a genuine wooden sleigh toboggan which will give ideas to the younger occupants of this mountain chalet. 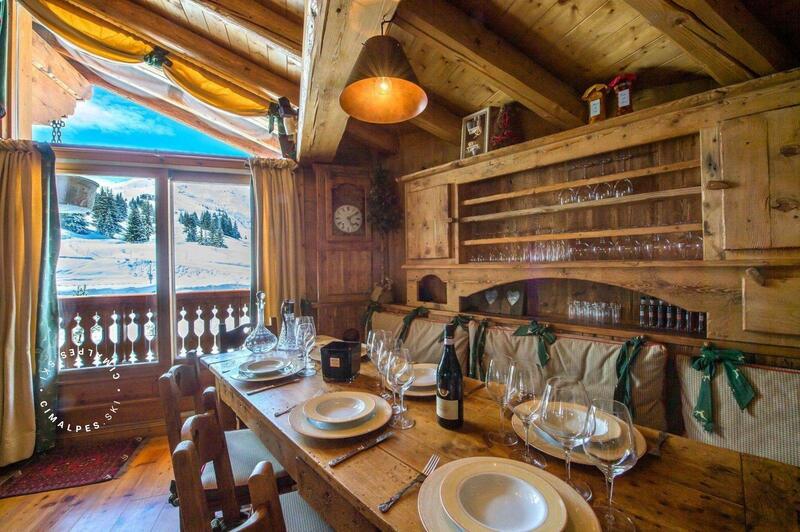 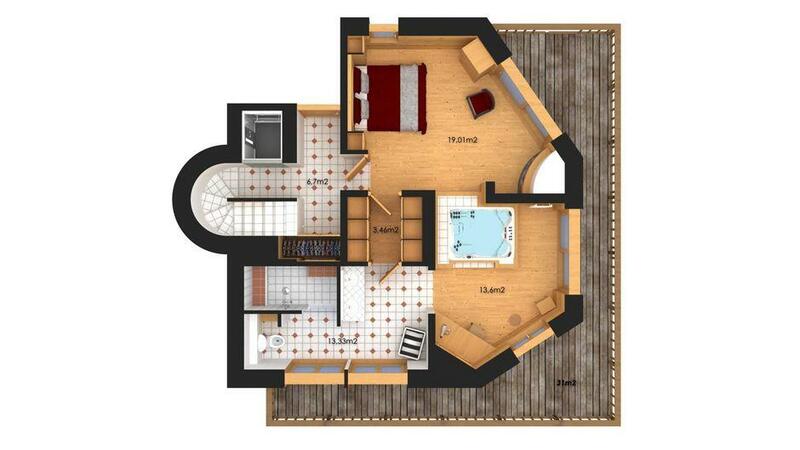 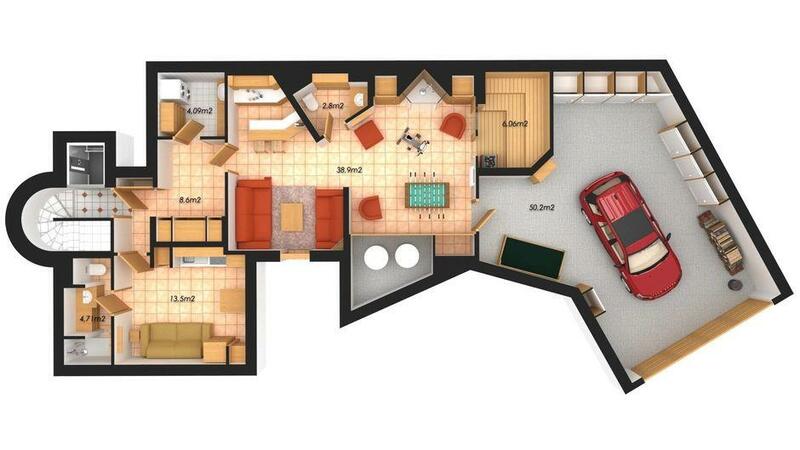 Enjoy the spacious areas and the many facilities offered by the Madeleine chalet. This mountain chalet welcomes eight people in four sublime en-suite bedrooms including a master bedroom with a wood burning fireplace, spa bath and a steam shower that will appeal to the parents. 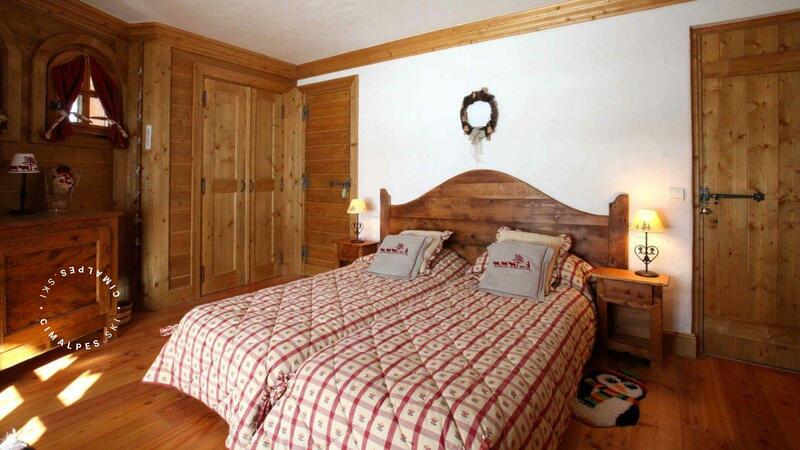 The chalet Madeleine is an authentic family-run mountain chalet and the purely Savoyard décor refreshes demanding families looking for a complete break with the everyday décor without compromising on the quality of service and the level of equipment. 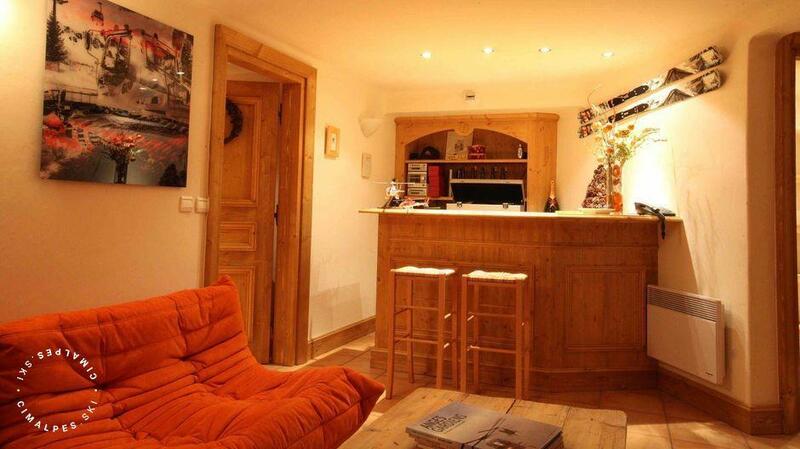 Chalet Madeleine is located in the renowned neighbourhood of Jardin Alpin, 50 metres from the slopes. 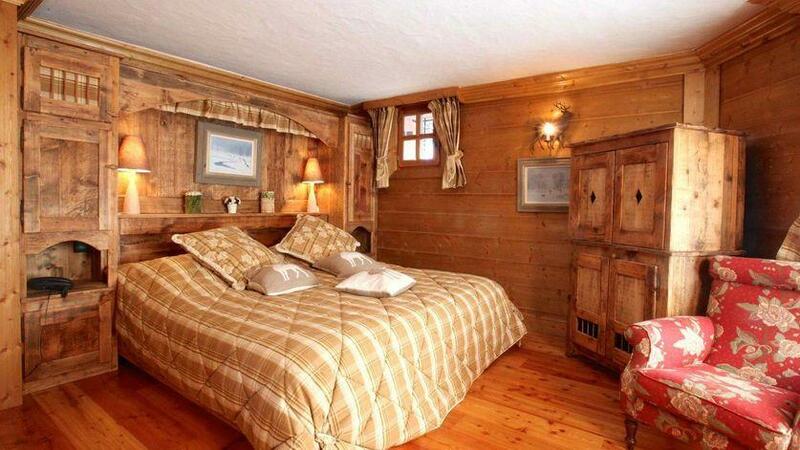 A relaxation area with sauna for 5 people for quiet moments after your ski days. 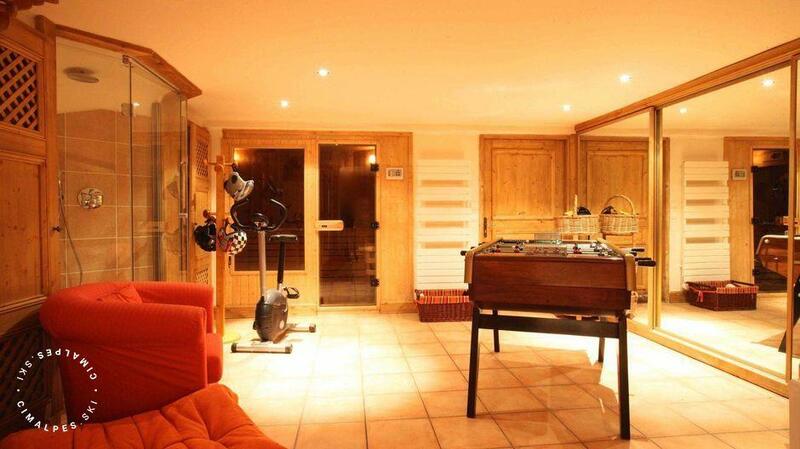 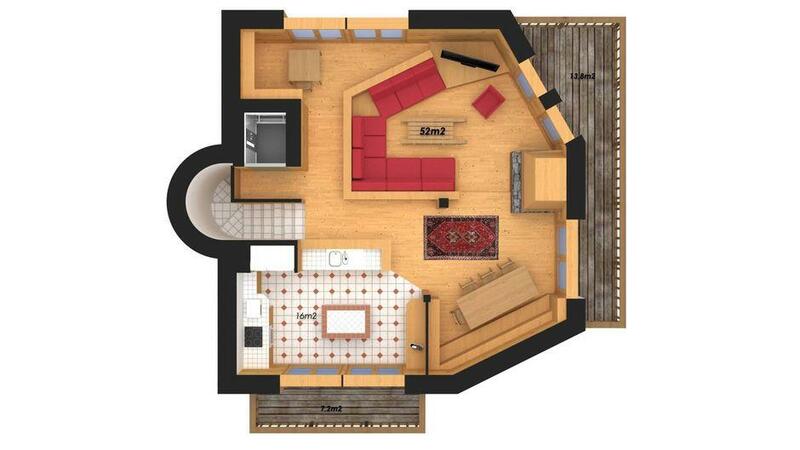 There is also a table football, an exercise bike, a bar, a shower and a toilet. 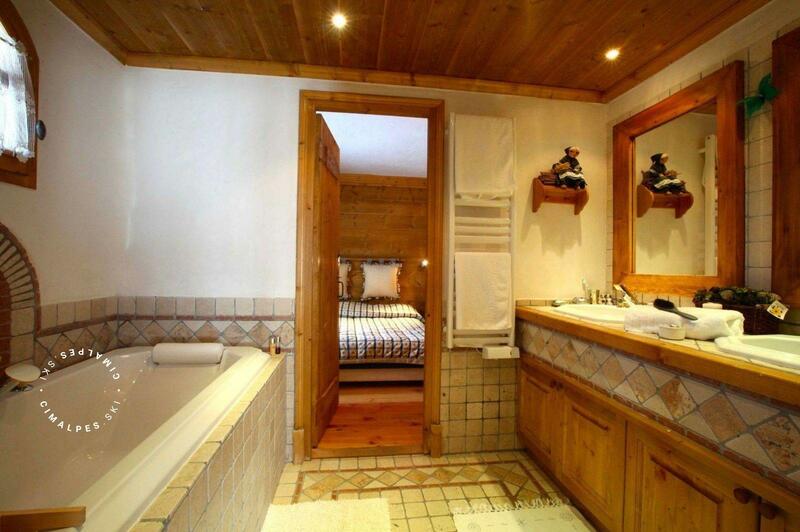 Leisure areas : A relaxation area with sauna for 5 people for quiet moments after your ski days. There is also a table football, an exercise bike, a bar, a shower and a toilet. 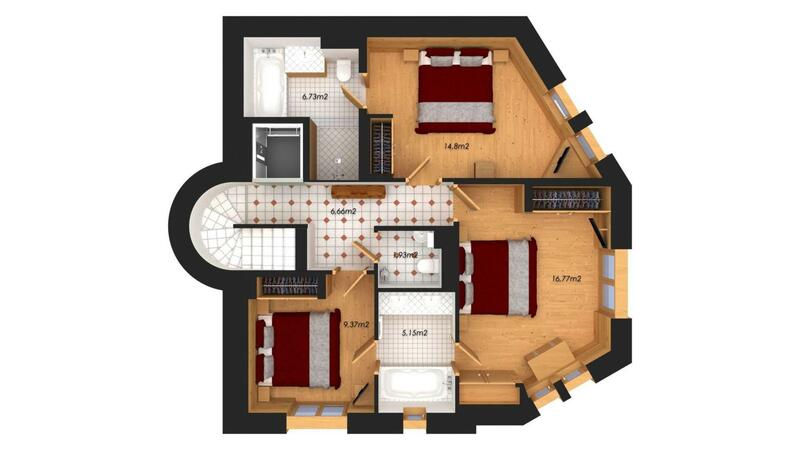 Living area : A beautiful living space including a large living room with fireplace, a dining room, an open kitchen and access to the terrace facing south.